We’ve made this twice now and it’s a huge hit with everyone…even our picky 12 year old loves it! There really isn’t much to say-no life story here..just an amazing recipe. Try to get the microwave steam bags of green beans and follow the instructions on them. You will need to saute them in a pan for a few minutes to help remove excess water- this is very important for the consistency. Remove as much water as you can. 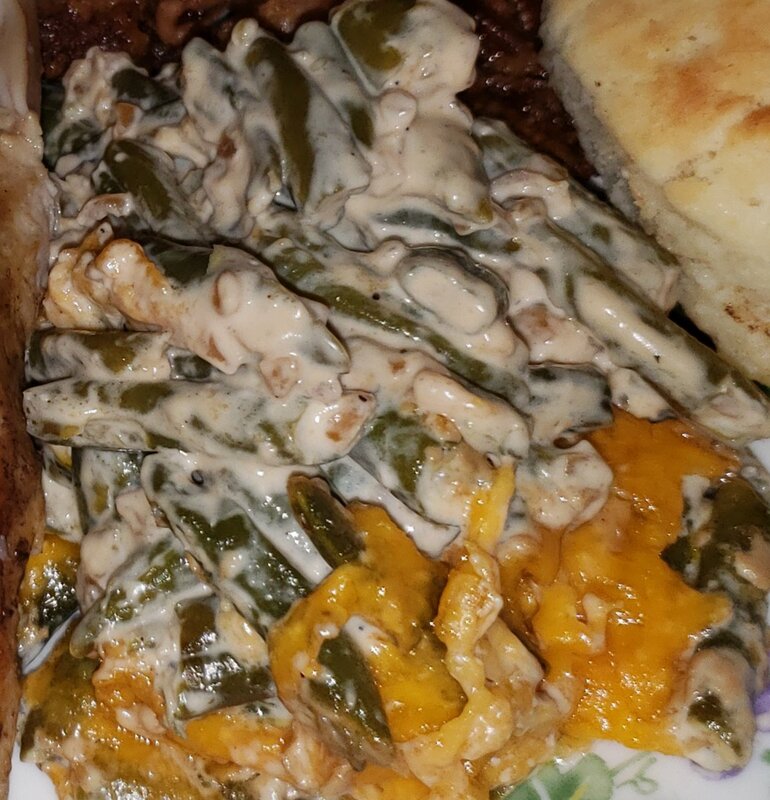 Dump green beans into a casserole pan. Place the heavy cream and cream cheese in a pan over medium heat. Whisk until the cream cheese softens and the sauce is smooth. Add the dried onions and soy sauce. Continue to stir until the mixture thickens and coats the back of the spoon. Pour sauce over green beans. Broil for a few minutes- watching carefully- until the cheese bubbles and turns golden.